The southern half of Switzerland is mountainous and forms a perfect natural playground for winter sports enthusiasts, including schools groups on their annual skiing trip. For those of you looking for inspiration and ideas for your next school ski trip, the resorts listed below are certainly among the best in the Alps. Switzerland has a reputation for being an expensive country to visit and the Swiss Franc's performance against the troubled Euro does nothing to dispel that. Some resorts do indeed attract very wealthy visitors and may not be the ideal place to take a coach load of school children, but Switzerland does well out of tourism and knows it has to remain competitive to attract less wealthy skiers. So the country still has plenty of options for groups on a budget. The Swiss section of the Alps are pretty high, so the snow conditions are usually superb with snowsure resorts in good supply. The mountain scenery is breathtaking, as anyone who has skied in and around Zermatt, in the shadow of the Matterhorn, can tell you. Following the French example, the Swiss have linked many resorts together to create huge ski areas all covered by your ski pass. These wonderful playgrounds of snow have their bases in the many mountain villages that dot the valleys. A Swiss school ski trip will be all about traditional Alpine scenery, wonderful hearty food, and heaps of fresh powder! 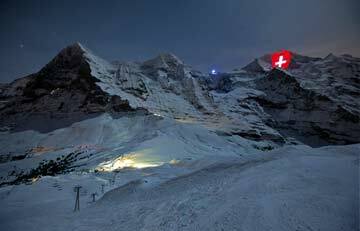 Get the best price for your school ski trip to Switzerland! Selecting Switzerland, but not too fussed about which resort? Tell us your basic requirements and we will gather the best prices from the ski operators who take school groups to Switzerland. 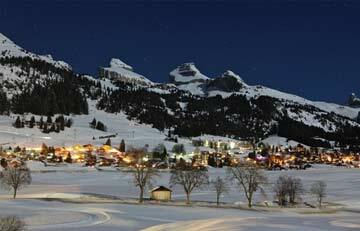 Located in the Lake Geneva region of Switzerland, Leysin is the perfect location for school ski trips. With 60km of runs on 29 pistes there's plenty of choice. School ski trips visit Jungfrau because of the huge choice of skiing on the ski pass, excellent snow in the high Swiss Alps, and family friendly atmosphere. 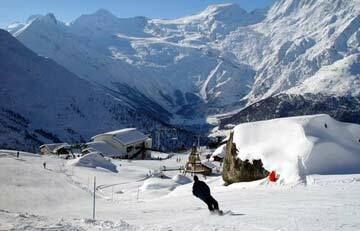 Saas Fee boasts an ideal mix of wonderful ski opportunities for beginners through to experts, and accommodation options to suit every school ski trip budget.